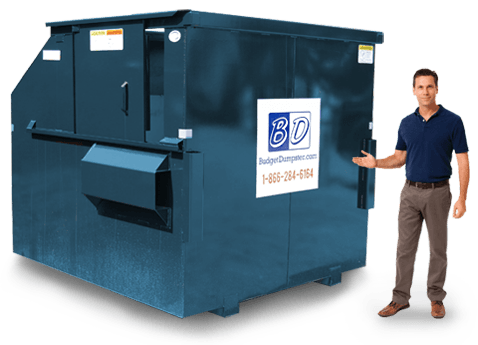 Budget Dumpster is prepared to provide you with the best waste removal experience in all of Lancaster and the surrounding area. 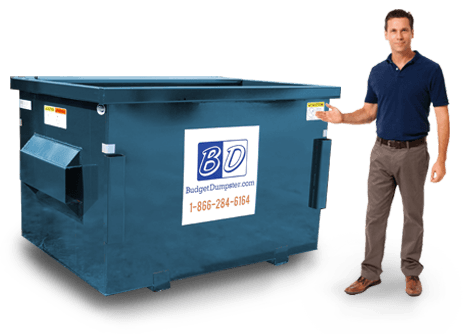 We offer the most affordable commercial dumpsters with the best terms in the business. Our customer service representatives are industry experts and are waiting for your call. Why wait? Let us help you take care of your trash at any location in the greater Lancaster area. 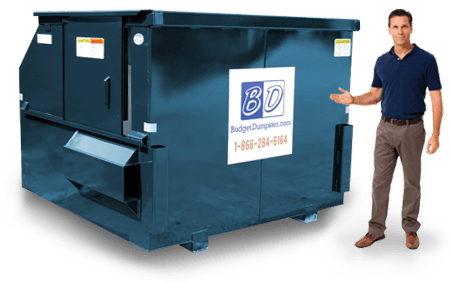 Contacting Budget Dumpster will be the best business decision you make this year. We will save you money and our reliable service eliminates the hassles normally associated with removing waste. Improve your life in Lancaster by simply calling us. 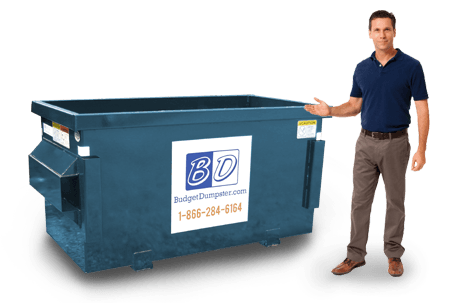 Say hello to Budget Dumpster and goodbye to your trash! Can hold between 600-800 lbs. Holds between 800 and 1000 lbs. What Does the Sliding Door Get Me? The sliding door is mostly good for two specific things. One, it allows you to take the refuse directly into the dumpster without having to toss it over the walls. This is good not only for the heavier debris you might be tossing but also because the 6 and 8 yard dumpsters are taller than their smaller brethren. The sliding door also allows you to enter the unit and move the refuse inside of it around so that the waste container has an even distribution of the debris. It's important that you keep all of the waste within the dimensions of the unit, we cannot take a dumpster that has been filled beyond capacity under any circumstance. What are the Terms of Service Like? We set you up with the best terms in the business. There is no run around from us, the price you are quoted is the price you are going to pay. That means you can expect flat-rate, wholesale pricing on every commercial dumpster that you get through us. We don't do teaser rates on our website that go up once we have secured your business. And there will never be any hidden fees or surcharges that we try to sneak in after the fact. We set you up with a 1 year rental with our commercial trash service and provide you with a low monthly rate. This is dependent on the dumpster that you are receiving from us, so choose the size that's best for you. You may have heard of us in the past. We are known for our exceptional rental service when it comes to waste removal. But not everyone knows that we also handle all your commercial refuse needs as well. So if you're a business that is looking for reliable, continued waste removal, you've come to the right place.